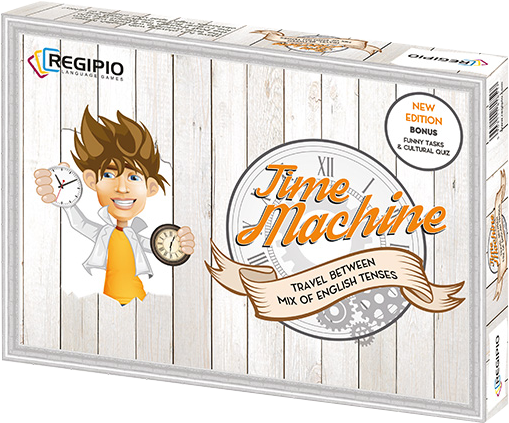 The time machine will take you from the past – through the present – to the future. But be careful! Avoid traps which might hold you back! Items: 1 board, 60 cards with verbs, 50 challenge cards, 4 counters, 1 dice, instructions.